(This article first appeared at WaccoBB.net on May 21, 2014; it has been slightly updated to add additional documentation). Unfortunately for Palm Drive Hospital and for our community, truth was noticeably absent in the reasons given for rejecting the Foundation’s lifeline proposal. Instead, we were provided with misleading legal advice from the district’s $520 an hour bankruptcy attorney—(whose San Francisco law firm also represents, in other matters, Wells Fargo Bank). This advice, which can be seen in exclusive video footage here, appears to benefit Wells Fargo Bank, which is trustee for Palm Drive’s $22.9 million bond portfolio, at the expense of the hospital’s survival. This advice, which led the board to incorrectly believe it had no choice but to reject the Foundation’s plan, seems to have been part of a secret public relations playbook. The top goals of this playbook were to “Position the hospital for a quick and easy closure,” and to “Protect the parcel tax income as the hospital closes and reemerges in its new, sustainable form/model.” These goals were apparently determined by Palm Drive’s Board without a single public meeting, a potential violation of California’s Brown Act, which says that such decisions need to be debated openly, with public input. 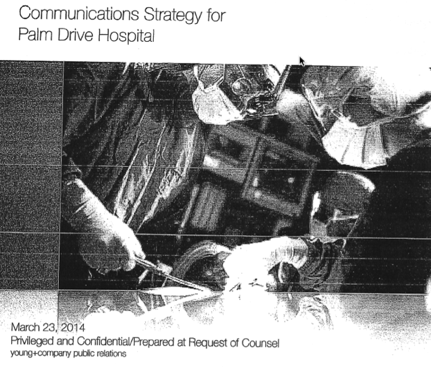 Last night, my hunch was confirmed, more demonstrably than I could ever have imagined, when I received this Communications Strategy for Palm Drive Hospital March 23 2014 ” The document is dated March 23, 2014, more than a week before the first public meeting was held for the Palm Drive Health Care District’s elected Board members to “consider” closing the hospital (the need for meaningful and transparent public hearings before elected officials make such community-critical decisions is the reason California’s Brown Act was created. 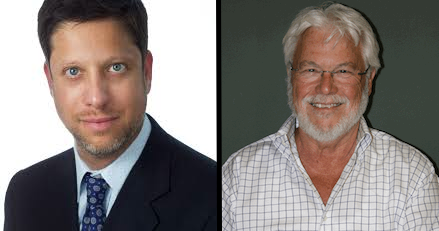 The approval of the plan before any public hearing was probably a violation of the Brown Act, and a likely reason that the cover of the plan is marked, “Privileged and Confidential/Prepared at Request of Counsel.” It is signed by Palm Drive’s CEO, Tom Harlan, and Marcus Young, representing Young & Company. One disturbing truth about this mysterious shutdown playbook is that it was created and agreed to by Palm Drive’s CEO, and, presumably, its elected Board of Directors, before there had been a single pubic hearing about closing the hospital. A few months earlier, when the Hospital spent thousands of dollars a day to bring in Alvarez & Marshall, an international consulting firm, the highly paid consultants never interviewed the City’s fire or police chiefs, nor did they speak to a single one of the dedicated, highly successful local doctors who managed health care at our renowned hospital. Instead, they looked at the numbers, their downward trends, and mounting payables, and decided that pulling out of a financial death spiral was impossible. They never considered requesting from the doctors, or the foundation, a different strategic model to save the hospital and keep the emergency room open. Well before the plan to close was announced, Alvarez’s analysts reported to the Palm Drive Board that failure was the only possible outcome. The Board’s job, they were advised, was to hire a bankruptcy attorney, a communications specialist, and another expensive out of town financial advisor specializing in hospital shutdowns (Nobody will answer my question about who recommended these shutdown specialists). I recently was given this video of the April 23 public meeting at which Dawson led Palm Drive’s District Board to publicly vote to close the hospital and reject the Foundation plan to keep it open. At the controversial meeting, which I attended, Palm Drive’s bankruptcy attorney Michael Sweet publicly advised members of the Board that their “role as a fiduciary” was, to earmark the tax revenues and payables due to the Hospital in order to pay its creditors. 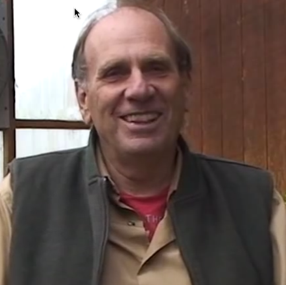 At no time during the meeting, or in this video, did attorney Sweet inform the public that his law firm, San Francisco-based Fox Rothschild, also represented hospital bond trustee Wells Fargo Bank. And although he later claimed to this reporter that a conflict of interest waiver had been signed by the hospital, that waiver, Conflict consent May 6 2014 Michael Sweet, was in fact not signed until May 6–two weeks after Sweet made misleading legal comments to both the public, and the Palm Drive District Board. Dan Smith pulls no punches when describing attorney Sweet’s intention. “He’s lying and he knows he’s lying. What he says is the opposite of what the law says. Who is driving this? I believe that Michael Sweet is working for Wells Fargo. Guess Which Mega-Bank Attorney Michael Sweet’s Law Firm Represents? 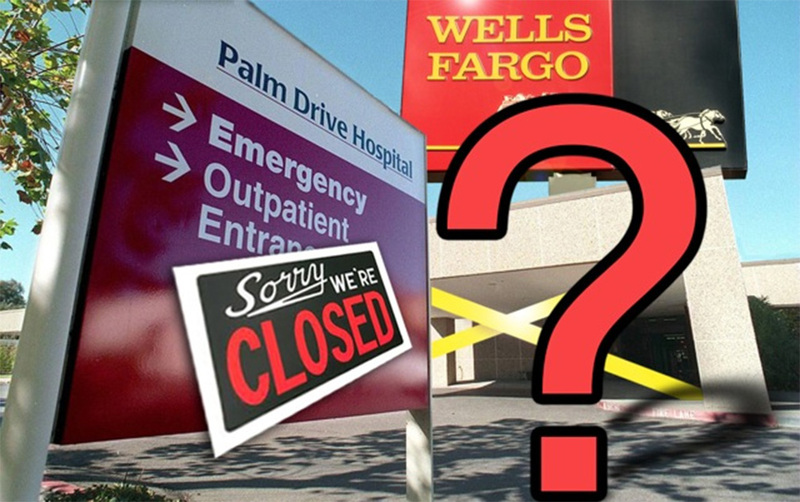 Michael Sweet’s misleading advice seemed to be part of a shutdown playbook that benefits Palm Drive bond trustee Wells Fargo, at the expense of a public desperate to keep its emergency room open. 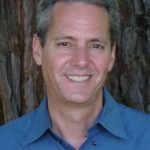 When I dug deeper into Michael Sweet’s background, I learned that he works for a major San Francisco law firm called Fox Rothschild. A review of Fox Rothschild’s website revealed that Wells Fargo Bank has been one of the firm’s most important clients for expensive appellate cases. I called Michael Sweet last week to interview him about this apparent conflict of interest. When he returned my call, I said, “Thank you for returning my call. This (Palm Drive’s closing) is a big story here in Sebastopol. Sweet’s reply was immediate. “It’s only a big story to one person,” Sweet replied. By this, he meant Dan Smith, leader of the effort to keep the hospital open. (A month after this article originally appeared, a public documents request Conflict consent May 6 2014 Michael Sweet, signed by Palm Drive Hospital CEO Tom Harlan–two weeks after the pivotal public meeting in which Sweet acted as an advisor to the Board an public).